Love it so far. Haven't overclocked but i'm not too worried. Runs very quiet and temps have been great. This card is a beast. Had a few issues with the lighting (got stuck on one colour and wouldn't change) and fan control (fans would randomly ramp up and down) had to physically unplug GPU from motherboard and plug back in to fix the issue. Not a fan of the Gigabyte Xtreme software, prefer using EVGA Precision XOC. I picked this up for $389 (plus tax). I have a +160 OC which makes in run between 2126-2139 depending on the game/test with the max temp only hitting 58c (that's with a custom fan curve). At idle it usually sits between 40-45c depending on the room temperature. the memory has a +450 oc putting it at 8900ish. All OCing was done through Precision XOC. So far I haven't encountered any coil whine. The fans are a little loud when under gaming load but I purposely cranked-up the fan curve to keep the card from ever hitting 60c...plus with the tv volume at a relatively average volume I can't hear the fans at all (however I am sitting about 7-10 feet from the pc). I have it set so the fan turns off when the card is below 45c (the factory setting is 40c). 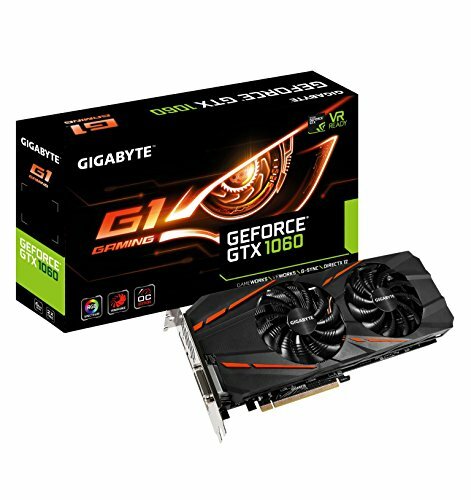 the only thing I used the gigabyte software for was to change the LED's then I just uninstalled it. I honestly can't think of any complaints so far...I guess the only thing is no SLI and the power target can only be increased to 111%. The loss of a star is not due to hardware but due to Gigabytes poor driver utility which fails to open more than once. 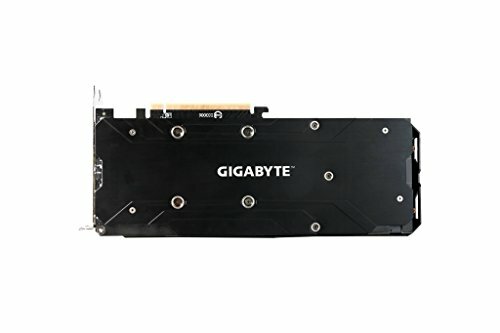 Hardware-wise, this card is brilliant. LEDs are very bright. 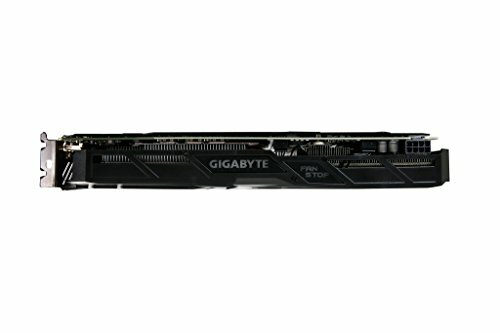 Nice looking card with more IO than the cheaper WF2 edition of the GTX 1060, making this the card I needed, since it offers 2 more displayports, and displayport splitters aren't cheap, making this worth the extra money since I will likely go multi-monitor soon. 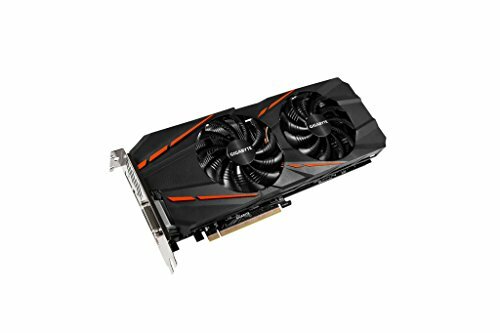 Performs great too, although you would likely expect this of a GTX 1060 anyway. This video card performs well, but had an issue with the fans. They would rattle against the heatsink when spooling up from their zero RPM mode, in a rather disconcerting way. I was able to loosen the fans' mounting screws such that they are no longer pressed up against the heatsink, mending the issue, but it shouldn't have been a problem in the first place. 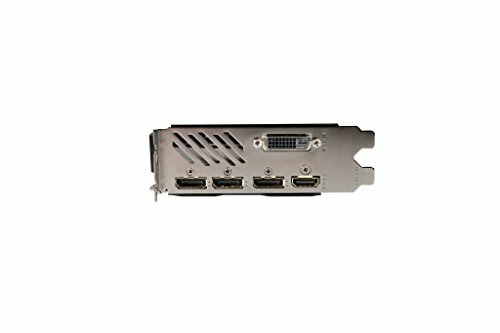 The 1060 is amazing. 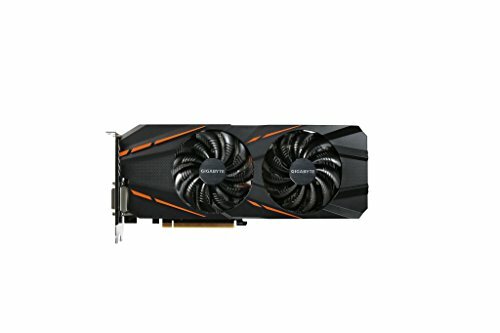 This card handles every game I play at 1080p on Ultra/High. Very nice to play with and have. Leaves some great upgrade potential in the future if I get a higher resolution monitor.